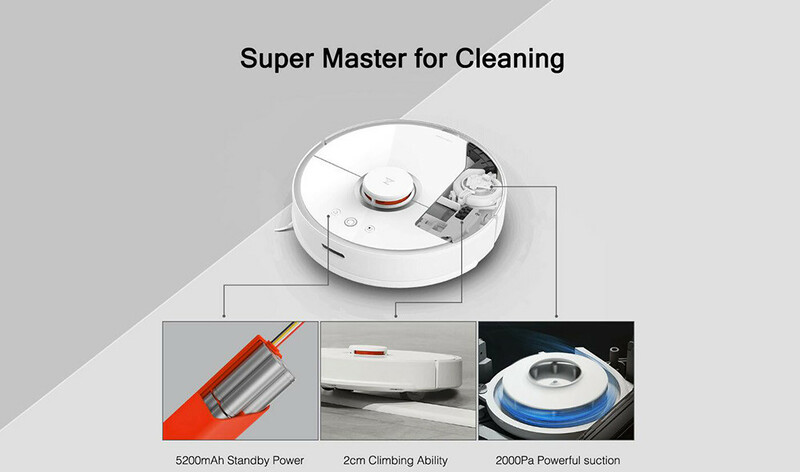 In partnership with Chinese hardware vendors, Xiaomi has once again released one of the best cleaning ecosystem product. If you have not heard of it, Mi Robot is what am talking about. With the introduction of the new model, Xiaomi Roborock Vacuum Cleaner, there are several upgrades which aim to give the robot more prominence and make it even more friendly than ever before! The 2nd generation Mi Robot shares most of the aesthetic design of the 1st generation model. This has a touch of white and well-distributed grey color all over the components. However, a major change in the second generation mi robot is the introduction of a mop function, which enables the robot to execute a dry and wet cleaning in one swing. Additionally, an English manual comes with the vivid description of how each feature performs. The default language is English which has made life much easier as one does not have to rely on Google for translation. These features, however, have not changed and are still the same as the 1st gen model. The water tank is located at the front, the brushes and mop for dry cleaning are housed at the back. The two speakers are up front and the dust collection tray as well. The reset Wi-Fi buttons are in the same position as before due to their easier accessibility. The rotating brush on the right side siphon dust and a circular brush underneath the robot does a fantastic job of cleaning any dirt on its path. The mobility of the robot is enabled by two wheels on either side and just like before. A small wheel sitting between the charging pins gives the robot a robust balance mechanism. Unlike the first gen-version, Mi Robot 2 has a 2cm clearance making it possible to move on obstacles such as rags. The charging system has changed significantly as the charger base has been made even smaller. If you are having a wooden floor don’t be troubled as an added pad prevents streaking wood while charging. POWERFUL MOTOR, AN IMPROVED ROTATING ALGORITHM!! With the introduction of new strong motors, the Mi Robot cleaning robot feels robust than ever before! 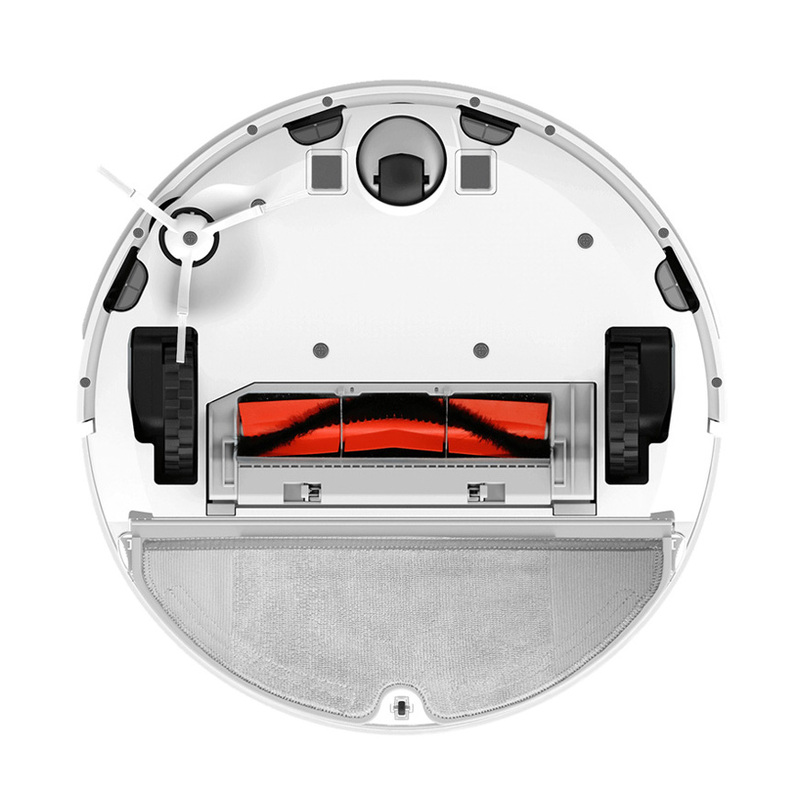 The Xiaomi mi robot vacuum had a 1800pa while the second has a 2000pa motor. Another incredible feature is the robot’s ability to differentiate between the common floor and a carpet one. When it is on the carpet it increases suction force for proper cleaning. Depending on the type of flooring, the cleaning mode can either be set as Quiet, Turbo, or Max although its default is balanced. To make things even better, you can select a spot cleaning by just a touch of a button. Once you press the power button, the robot kicks into action. Supported by twelve sensors, the Mi Robot 2 creates a clear picture of your room making it easier to clean. Equipped with laser wall sensor, the robot is able to keep a 10mm clearance off the walls and 2mm thick rubber keeps the robot safe in case it hits something. The rotating algorithm is excellent thanks to the new distance sensors. The 5200mAh battery supports the robot for 45 minutes of operation without requiring recharging. It is of no doubt that the Mi Robot has gone through a drastic change making it robust than ever before. With the incorporation of laser sensors, the rotation has been made swift and precise. 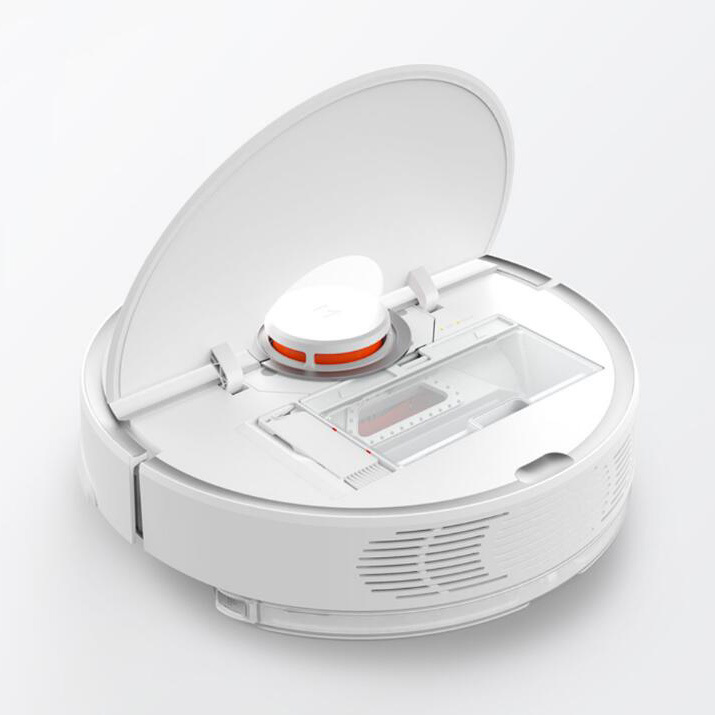 The mop clean make it an all-around cleaning robot. With such upgrades among others, the robot is one of the best available on Banggood.